This tutorial is for users whose web hosting administration front end is cPanel version 11.34.1 (build 12). It may be the same or similar for other versions of cPanel or other web hosting administration front ends, but no guarantee is made. 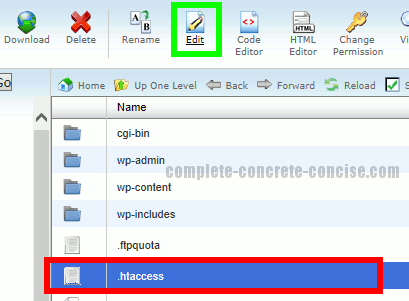 Sometimes it is necessary to edit the .htaccess file. 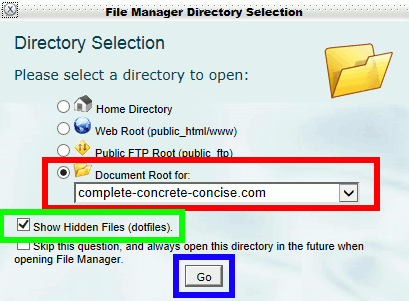 By default, cPanel hides this file from the user. Warning: incorrectly editing .htaccess can render your website unusable. Ensure you make a backup of it before proceeding.